You may be reading a lot about how to keep your body fit and healthy. Exercising and a nutritious diet are the steps you may be already following. But have you ever thought about your mental health and the fitness of your brain and mind. In this article you will find some interesting answers and facts. If you develop a good habit like reading or solving puzzles, you will be able to do good to your brain. You may begin it as a simple habit along with your daily tea and newspaper. Later on you can keep on increasing the difficulty level for yourself. Research has shown that these brain training activities or games are very effective in creating a positive impact on an individual. 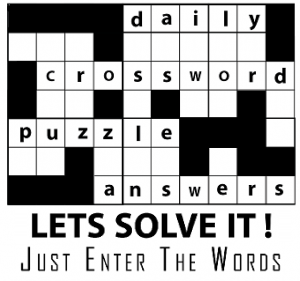 Crosswords are puzzles that deal with alphabets and words. You have to fill out the blanks by putting in appropriate words by using the clues and hints provided. If numbers are more palatable to you, then you should give sudoku a try. 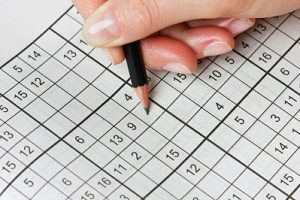 Sudoku is believed to be slightly more difficult and complex. The idea here is that by regularly subjecting your brain to puzzles, quizzes and special online games, the cognitive functioning power of the brain increases and the memory becomes sharp. There is no specific study that can suggest the exact effect of these brain exercises on the brain but overall the effects are positive and worth the effort. There are many studies that have been conducted on this subject. In the year 2014, there was a trial conducted by National Institute of Health. They concluded from the study that older individuals when subjected to brain training exercises, showed positive effects that lasted for up to ten years. This means that the mental disorders and cognitive problems could well be postponed by an entire decade. Use of the hand for writing. Rotatory movements of the hands is a skill that we are losing out thanks to the advancement of technology and use of laptops and mobiles for almost everything that we do. Sudoku and puzzles keep you mentally sharp. With advancing age, your mental sharpness becomes blunted. It keeps your memory updated and you are less likely to be forgetful and digress into mental dullness. When solving puzzles, you need to read a lot and this helps to improve your knowledge bank. Your vocabulary becomes very strong too. When you crack a puzzle, the eureka moment leads to a release of dopamine in the brain which is a neurotransmitter responsible for uplifting your mood. Crosswords serve as a common platform that brings people with different ages and cultures together. These are the multiple advantages of solving puzzles. So if it is an area of your interest, go ahead and increase the level of difficulty. This will promote the regeneration of circuits in the brain and make you smarter. For students the added advantage is that improved cognitive functions, will make their calculations and arithmetic stronger. This will lead to better grades at school and make them shine. To begin solving crosswords, you do not have to turn things upside down or change your daily routine. Just a pencil, a puzzle and few minutes of your time everyday is all you need. Happy puzzle solving!! !